Chisinau — Iu. Gagarin Ave.
Kharkiv hosts numerous Soviet monuments from its stint as the capital in the 1920s and is considered the industrial and educational heart of Ukraine. On the 28th (Fri), stroll through Shevchenko Park. Get ready for a full day of sightseeing on the next day: admire the local landmark of Mirror Stream fountain, then tour the pleasant surroundings at Gorky Central Park of Culture and Leisure, then don't miss a visit to Freedom Square, and finally make a trip to YermilovCentre of Modern Art. To see where to stay, ratings, maps, and other tourist information, read our Kharkiv trip planner . Charlotte, USA to Kharkiv is an approximately 23-hour flight. You'll lose 7 hours traveling from Charlotte to Kharkiv due to the time zone difference. Plan for little chillier temperatures traveling from Charlotte in September, with highs in Kharkiv at 70°F and lows at 50°F. 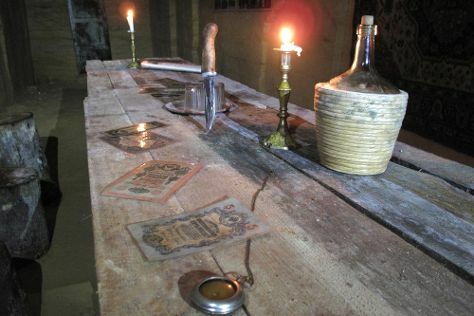 Wrap up your sightseeing by early afternoon on the 30th (Sun) to allow enough time to travel to Lviv. On the 1st (Mon), make a trip to Lviv City Hall, wander the streets of Old Town, don't miss a visit to Market Square, then appreciate the history behind Monument to Leopold von Sacher-Masoch, then explore the different monuments and memorials at Lychakiv Cemetery, and finally step into the grandiose world of Lviv High Castle. On your second day here, take in the architecture and atmosphere at Church of the Jesuits, make a trip to Chapel of the Boim Family, make a trip to Prospekt Svobody, see the interesting displays at Insomnia - The Haunted House, then take in the spiritual surroundings of Armenian Virgin Mary's Dormition Church, and finally contemplate in the serene atmosphere at St.Yura Cathedral. For photos, traveler tips, and more tourist information, use the Lviv road trip planner. Traveling by flight from Kharkiv to Lviv takes 6 hours. Alternatively, you can do a combination of flight and train; or drive. September in Lviv sees daily highs of 67°F and lows of 48°F at night. Cap off your sightseeing on the 3rd (Wed) early enough to go by car to Chernivtsi. Chernivtsi is a city in western Ukraine, situated on the upper course of the River Prut. Start off your visit on the 3rd (Wed): wander the streets of Olha Kobylyahska Street, admire the landmark architecture of Residence of Bukovynian Metropolitans - Chernivtsi National University, and then make a trip to Alley of Stars. For photos, traveler tips, reviews, and other tourist information, you can read our Chernivtsi online vacation planner . You can drive from Lviv to Chernivtsi in 4.5 hours. Other options are to take a train; or take a bus. In October, daytime highs in Chernivtsi are 56°F, while nighttime lows are 42°F. Cap off your sightseeing on the 4th (Thu) early enough to go by car to Kamianets-Podilskyi. Kamianets-Podilskyi is a city on the Smotrych River in western Ukraine, to the north-east of Chernivtsi. 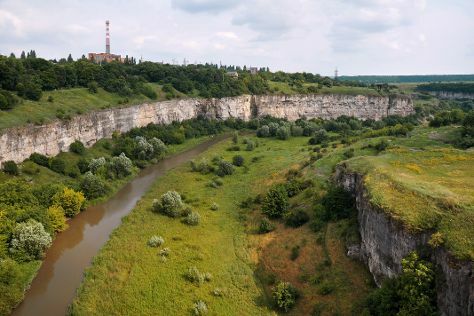 Start off your visit on the 4th (Thu): explore the stunning scenery at The Smotrych River Canyon and then delve into the distant past at Kamenet's Podolsky Castle. For where to stay, reviews, photos, and more tourist information, read our Kamianets-Podilskyi journey builder . Traveling by car from Chernivtsi to Kamianets-Podilskyi takes 1.5 hours. Alternatively, you can take a bus; or take a train. Expect a daytime high around 56°F in October, and nighttime lows around 42°F. Wrap up your sightseeing on the 4th (Thu) early enough to drive to Vinnytsya. Vinnytsia is a city in west-central Ukraine, located on the banks of the Southern Bug.It is the administrative center of Vinnytsia Oblast and the largest city in the historic region of Podillia. 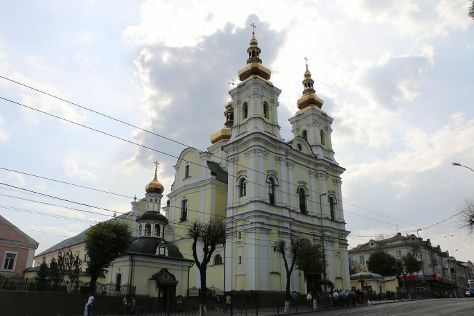 On the 5th (Fri), get engrossed in the history at Ukrainian Philatelic Museum of Jakiw Balaban, then pause for some serene contemplation at Holy Transfiguration Cathedral, then contemplate the long history of Vinnytsya Mury, and finally don't miss a visit to Multimedia Fountain Roshen. Plan trip to Vinnytsya with our itinerary maker to find out where to go and what to do. Traveling by car from Kamianets-Podilskyi to Vinnytsya takes 3 hours. Alternatively, you can take a bus; or take a train. Finish your sightseeing early on the 5th (Fri) to allow enough time to take a train to Kiev. Kiev is known for museums, historic sites, nature, nightlife, and parks. Your plan includes some of its best attractions: pause for some serene contemplation at Saint Sophia Cathedral, Head underground at Kiev-Pechersk Lavra - Caves Monastery, don't miss a visit to Andriyivski Uzviz, and pause for some photo ops at Rodina Mat (Motherland). To see ratings, reviews, traveler tips, and other tourist information, read Kiev day trip site . You can take a train from Vinnytsya to Kiev in 2.5 hours. Another option is to drive. In October, plan for daily highs up to 54°F, and evening lows to 39°F. Wrap up your sightseeing on the 12th (Fri) early enough to drive to Uman. 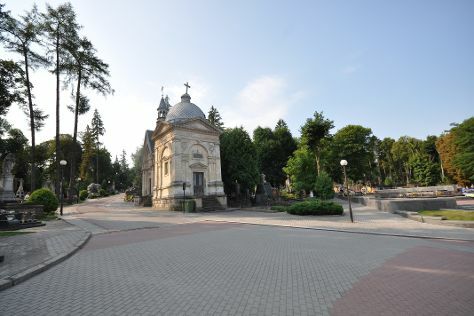 Uman is a city located in the Cherkasy Oblast (province) in central Ukraine, to the east of Vinnytsia. For more things to do, other places to visit, maps, and other tourist information, go to the Uman journey builder tool . Drive from Kiev to Uman in 2.5 hours. Alternatively, you can take a bus. Wrap up your sightseeing on the 12th (Fri) to allow time to drive to Odessa. Odessa is known for museums, nightlife, fun & games, parks, and theme parks. Your plan includes some of its best attractions: don't miss a visit to Deribasovskaya Street, explore the fascinating underground world of Catacombs of Odessa, tour the pleasant surroundings at City Garden, and get in on the family fun at Odessa Delphinarium Nemo. To find more things to do, ratings, and other tourist information, refer to the Odessa journey planning app . Getting from Uman to Odessa by car takes about 3 hours. Other options: take a bus; or do a combination of bus and flight. In October in Odessa, expect temperatures between 58°F during the day and 46°F at night. On the 17th (Wed), you'll have the morning to explore before heading back home.